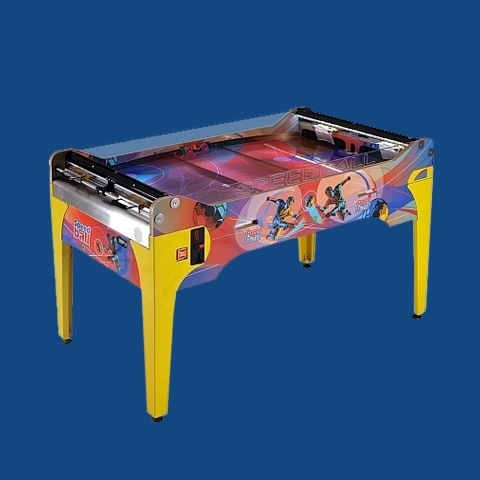 Arcade Speed ball Game Rental is the most fast paced arcade game we have. 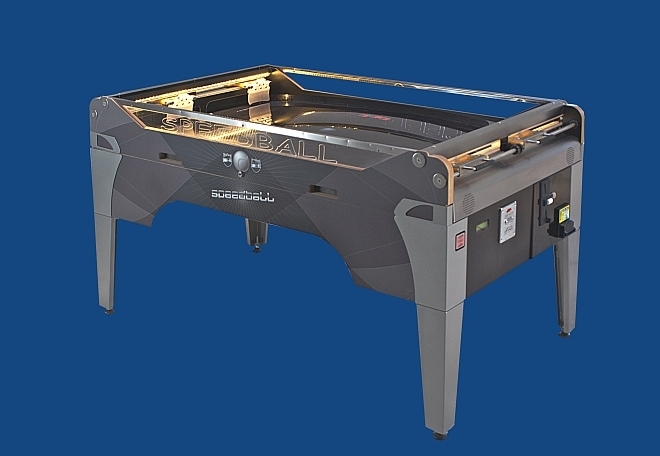 If you like the games of Foosball, air hockey, and pinball you will love this game. 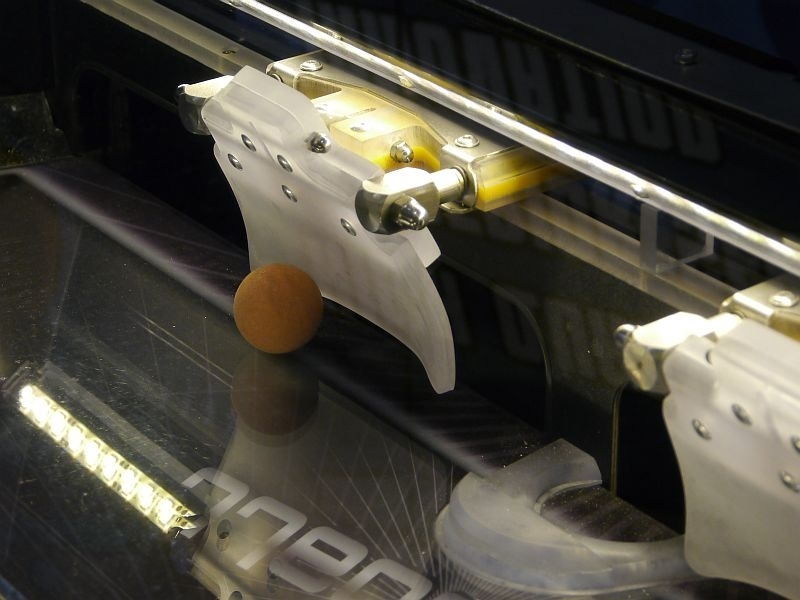 The object of the Arcade Speed Ball Game Rental is a super fast ball hit by a pair of specially made paddles. Just squeeze the handles when you have the ball on your side and the ball will fly over to your opponents side. 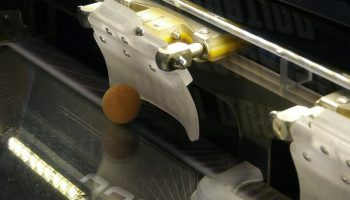 It is also possible to steer the ball thanks to the special made curved edges on the paddle. The harder you squeeze the handle the faster the ball goes. The goal to the Arcade Speed Ball Game Rental is to score more points than your opponent. The Arcade Speed Ball Game Rental has an electronic scoring device and has some amazing sounds and lights when you score on your opponent. This is like Foosball and air hockey on steroids. 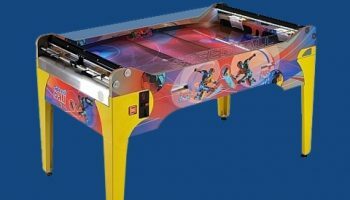 The Arcade Speed Ball Game Rental can be played with 2 or 4 people. 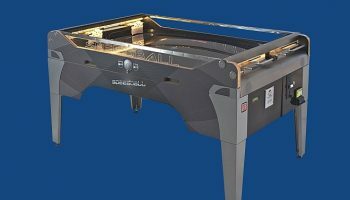 Arcade Speed Ball Game Rental is a new product for this year and is a very unique and exciting new twist that your guests have not experienced or seen. We deliver all our arcade game rentals to the San Francisco, San Jose, East Bay, and Northern California. Click on this video link to see this game in action.